Super Mario World is the fourth instalment in the Super Mario series and the first to be released on Nintendo’s 16-bit console. A huge phenomenon of a game, it is cited as one of the best titles on the SNES as well as one of the best Mario games in the plumber’s history. It also introduced Yoshi, who has become one of the series’ favourite characters, rivalling the popularity of Mario and Donkey Kong before him. Thus while the game is essentially another entry in the Mario series, it is also the very beginning of the Yoshi universe. But does the game still deserve all the praise it receives? In a nut shell it most certainly does. This is Mario at his best in the confines of the original 2D platforming genre. 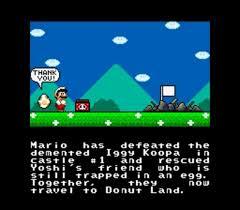 The game takes place in Dinosaur Land, home to Yoshis and many other strange creatures Mario has never encountered before. Bowser has invaded this land and once again kidnapped Princess Toadstool, forcing the plumber to deal with his Koopa Army. Joined by his brother Luigi and his new companion Yoshi, Mario sets out once more to save the day. While Dinosaur Land isn’t perhaps as varied thematically as some of Mario’s adventures past and present, the setting is brought together well with a detailed world map that changes as your progress through the game. There’s a lot to discover on each corner of the map, I mean look at all the stars on it for starters. The stages are also some of the best crafted stages in the entire franchise, with secrets galore pouring out of almost each and every single one. On the world map a stage marker coloured red will indicate whether the stage houses a secret exit on top of the regular one, a feature greatly appreciated as the game guides us without giving the method of these secrets away. And what secrets they truly are! If the Star World wasn’t exciting enough there remains another layer of secret levels to be had on top of that, truly challenging the player to uncover every single one. While a simple play through of Super Mario World provides a pleasant challenge in its own right, it’s trying to find all 96 stage exits that’ll really push players to the limits of their skill set. However secrets alone aren’t the reason this game is so commendable, but how the game keeps throwing new, unique and interesting levels designs at us all the way up to the final level. Some tricks like Disco Balls of Light or Torpedo Teds only appear once but they are crafted so well into their respective stages that it helps the game remain memorable even despite castle and underwater stages looking thematically the same. This is all polished off by new power-ups and abilities such as the Cape Feather, Spin Jumping and of course the wonderful Yoshi that really open up different possibilities for each play through. 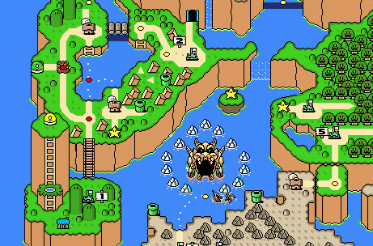 Ultimately the greatest rewards Super Mario World has to offer are not the challenge of each individual stage, but how we learn to master the game’s mechanics in order to uncover everything it has to offer. The game does have these little animations at the end of each area. These short plot devices really showed off the charm of this world and it’s characters. Super Mario World may not have everything you could want in a Mario game, lacking the number of power-ups and visually striking levels of its predecessor Super Mario Bros. 3. But what it does have is everything else we have come to love from a Super Mario title. 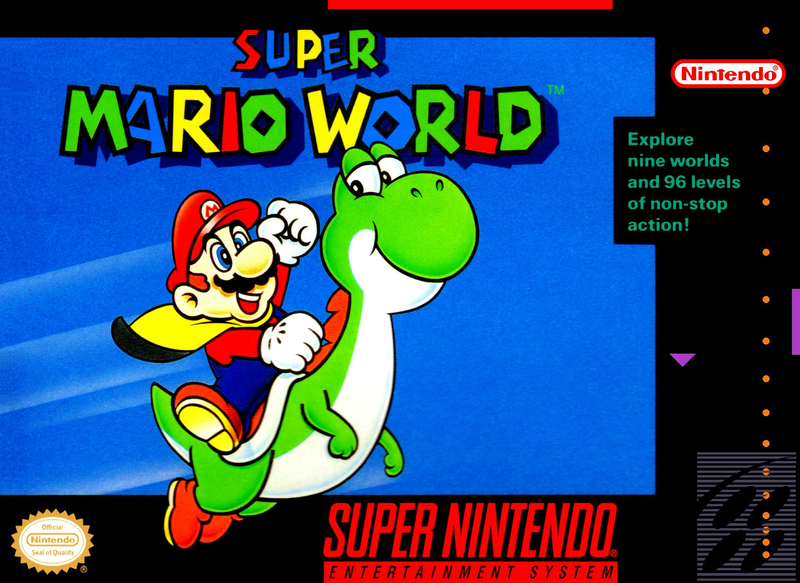 It may be 25 years old now, but Super Mario World has yet to be bested and may remain for all time, the greatest title in the 2D series of Mario games.